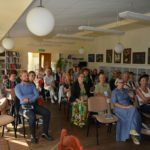 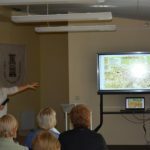 On September 7 residents of Plungė (Plungyan) and others attended one such event at the Plungė Public Library. 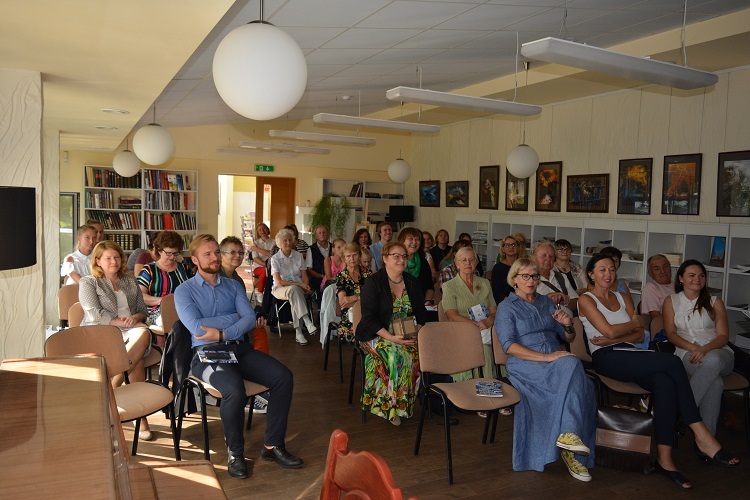 Saulė Gymnasium Tolerance Center students began the event with a violin concert and readings from Holocaust survivor Maša Rolnik’s autobiography. 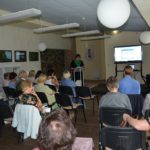 Rolnik was born in Plungė. 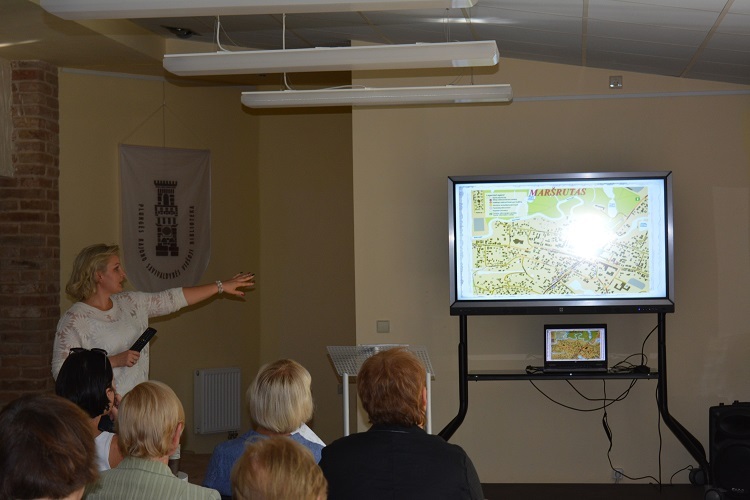 A specialist from the Plungė Tourist Information Center presented a new Jewish tourism itinerary in Plungė, and the publication “On the Jewish Streets of Plungė” which details in English and Lithuanian a 3-kilometer route through the town where buildings which once belonged to the Jewish community, statues and other sites have been marked with signs. 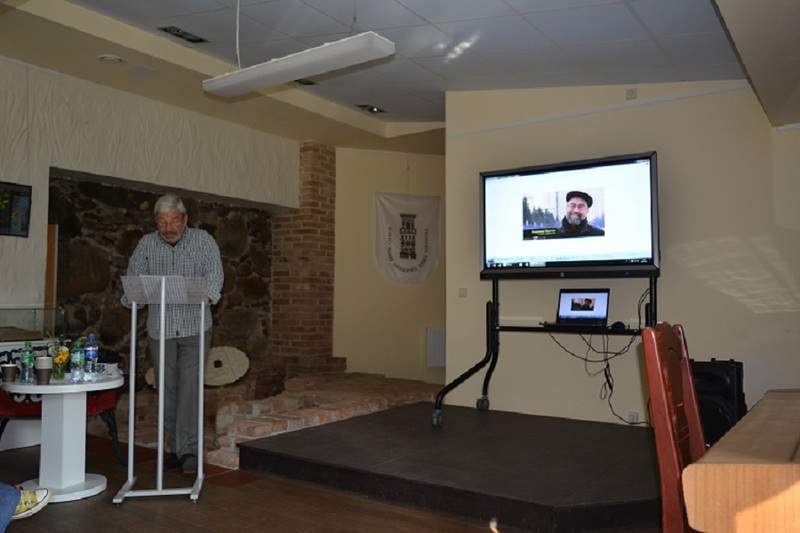 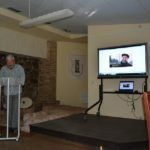 Eugenijus Bunka greeted the audience with the upcoming Jewish new year and gave a presentation on world-famous Jewish figures with roots in Plungė. 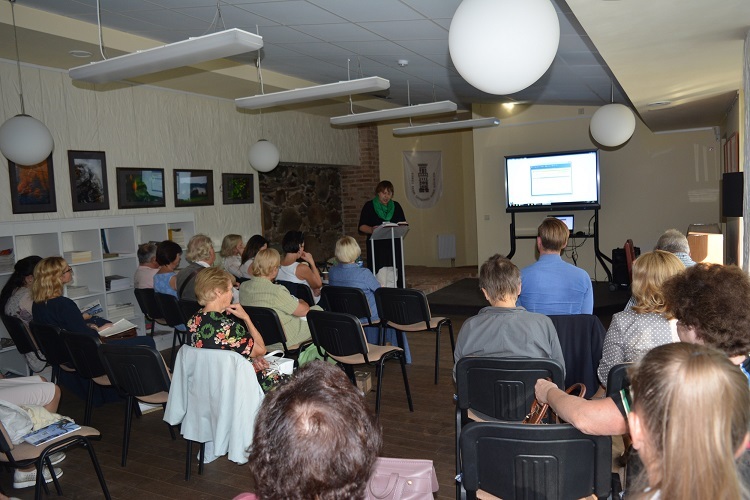 Z. Paulauskaitė spoke about daily life in the town before the war and Lithuanian-Jewish relations. 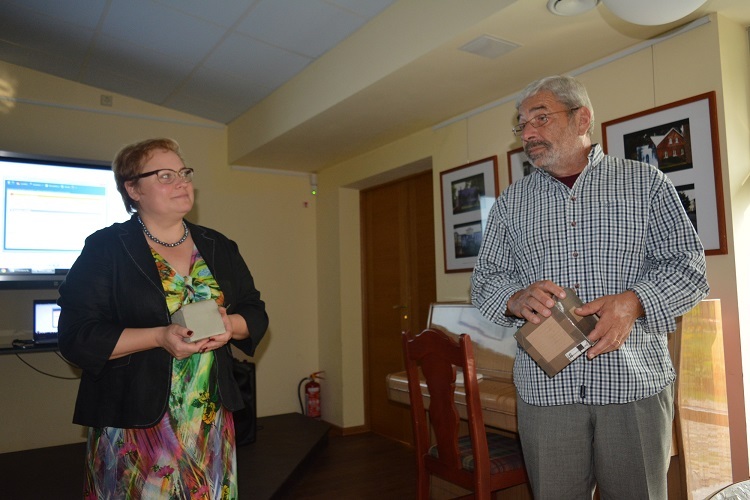 From the many stories she’s collected from locals, she chose to read the one from Juzefa. 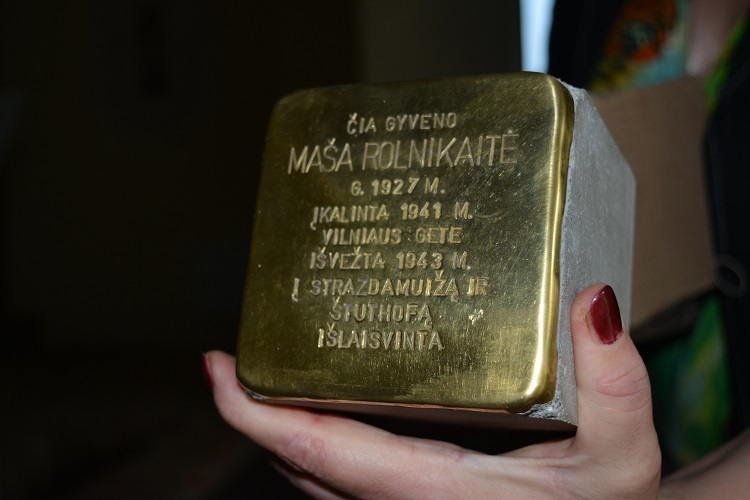 Tolerance Center director J. Mažuknė spoke next and presented memory stones (Stolpersteine, “stumbling stones”), small commemorative blocks placed in sidewalks and streets with the names of Nazi victims. 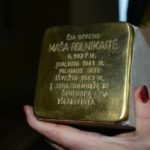 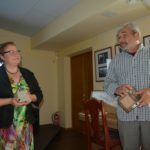 She said two such stones will be placed in Plungė at the end of September, one for Eugenijus Bunka’s grandfather Mendel Ril and the other for Maša Rolnik.